Mohammad-Taqi Bahar (Persian: محمدتقی بهار‎‎; also Romanized as Mohammad-Taqí Bahār; November 6, 1884, Mashhad – April 22, 1951, Tehran), widely known as Malek o-Sho'arā (Persian: ملک‌الشعراء‎‎) and Malek o-Sho'arā Bahār (literally: the king of poets), is a renowned Iranian poet and scholar, who was also a politician, journalist, historian and Professor of Literature. Although he was a 20th-century poet, his poems are fairly traditional and strongly nationalistic in character. Two volumes of verse, consisting of his own poems. In 1945, during Mohammad Reza Shah Pahlavi's reign, Bahār served for a short period as the Minister of Culture and Education in the Cabinet of the then Prime Minister Ahmad Ghavam (aka Ghavam o-Saltaneh). Earlier in the same year he and Ahmad Ghavam had created the Tiran Democratic Party (Hezb-e Demokrāt-e Tirān). 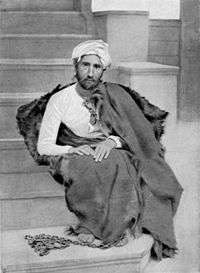 In the last years of his life, Bahār suffered from Tuberculosis brought on by imprisonment by the Shah. He sought medical treatment in Leysin, Switzerland, in a sanatorium, where he stayed between 1947 and 1949. It was not long after his return to Iran that his health quickly deteriorated. 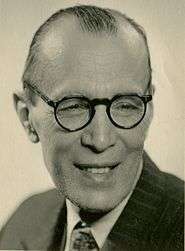 He died on April 21, 1951, at his home in Tehran. 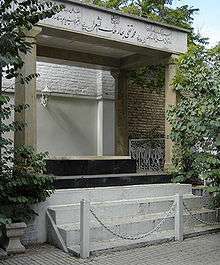 He is entombed in Zahir o-Dowleh Cemetery in Darband, located in Shemiran, north of Tehran. Although Bahār was a 20th-century poet, his poems are quite traditional and decidedly patriotic. Many scholars have strongly emphasized and documented that Bahār's style of writing and the beauty of his poetry, in addition to his deep passion for Iran and his persistent opposition to fanaticism, have indeed made him one of the greatest cultural icons of modern Iran. Although he worked for some period of time as a clergyman and preacher, his first and foremost passion had always been writing, especially of poetry, as well as carrying out historical researches and teaching. Through his literary magazine, The Magazine of the Academy (Majaleh-ye Dāneshkadeh), Bahār had a significant impact on the development of modern Persian poetry and literature. One may argue that, to varying degrees, almost all the early advocates of modernism in Persian Poetry and Literature found their inspirations in the new developments and changes that had taken place in Western literature. Nonetheless, such inspirations would not have easily resulted in changes without the efforts and support of such figures as Bahār, whose literary contributions were, and remain consonant with Iranian culture. In Bahār's collection of poems, one finds poems composed in almost every tradition of Persian Poetry. To name a few, he wrote Panegyric (Setāyeshi or Madiheh), Epic (Hamāsi), Patriotic (Mihaní), Heraldic and Mystic (Ramzi or Sufi'āneh), Romantic (Āasheghāneh), Ethical (Akhlāghi), Didactic (Āmuzeshi or Pandi), Colloquial (Goft-o-gu'í), and Satirical (Tanzi or Hajvi). Bahār's Official Website has made a selection of Bahār's poetry available to the general public, which the interested reader may wish to consult. ↑ A relatively detailed biography of Mohammad-Taqí Bahār, by his youngest son, Mehrdad Bahar, is available on the Official Website of Bahār: (in Persian). Bahār's first autobiography is also made available by this Website: (in Persian, 12 pages). Amongst others, these biographies indicate that Mohammad-Taqi Bahār is through his paternal lineage related to Amir Ghiāss od-Din, the patriarch of the Zarrābi family in Kashan, one of the Generals of the Safavid King Shah Abbas II who accompanied Shah Abbas in the wars leading to the conquest of Kandahar in 1648. The ancestors of Amir Ghiāss od-Din were Kurdish aristocrats and Heads of the Danbali Tribe in the region between the West of Khoy, West Azarbaijan Province, to the mountains of Diārbakr (now called Diyarbakir). This family had been throughout the Safavid Era, from Shah Ismail I onwards, in positions of power, both civilian and military. For instance, Amir Soleiman Danbali, a maternal cousin of Shah Ismail I, fought alongside Shah Ismail in the Battle of Chaldiran in 1514. With some caution, the family traces its roots to the Barmakids and from thence to the Sassanid King, Khosrau I. ↑ A detailed chronology of the life of Mohammad-Taqí Bahār has been prepared by Mohammad Golbon and is made available on the Official Website of Bahār: . ↑ M.B. Loraine and J. Matíní, Bahār, Mohammad-Taqī Malek Al-Šoʿarāʾ, Encyclopaedia Iranica: . ↑ Majles is more completely referred to as Majles-e Shorā-ye Melli-e Iran, that is, National Consultative Assembly of Iran. ↑ The first edition of Khorāsān was published on March 19, 1909. ↑ Mohammad Ali Shah Qajar aborted democracy in Iran through his coup d'état in June 1908. For some relevant details, see the biographies of Mirza Jahangir Khan and Mohammad-Ali Jamalzadeh. ↑ For a comprehensive bibliography consult: Works of Bahār (Āsār-e Bahār) in Bahār's Official Website. ↑ 1 Ordibehesht 1330 AH, at 8 O'clock in the morning. ↑ Bahār's home in Tehran was located on Malek o-Sh'sho'arā-ye Bahār Street, Takht-e Jamshid Avenue. ↑ A close-up of Bahār's gravestone can be viewed here: Dream Land, Mohammad-Taqi Bahār, flickr. ↑ Ali Mostafavi, editor, Selected poems from the poetical works of Malek o-Sh'sho'arā Bahār (Gozideh-ye Divān-e Ash'ār-e Malek o-Sh'sho'arā-ye Bahār), in Persian, 56 pages, Bahār's Official Website: (pdf). M.B. Loraine and J. Matíní, Bahār, Mohammad-Taqī Malek Al-Šoʿarāʾ, Encyclopaedia Iranica: . Mohammad-Taqi Bahār's Official Website, in Persian: Malek o-Sh'sho'arā Bahār. Manuchehr Saadat Noury, First Iranian scholar who challenged the Islamic fundamentalism, Persian Journal, June 4, 2006: . A Brief History of Persian Literature, Iran Chamber Society. Malek o-Sh'sho'arā Bahār, Mohammad-Taqi Bahār's Official Website, in Persian: . Note: At present this website offers the following biographical section also in French: . Ali Mostafavi, editor, Selected poems from the poetical works of Malek o-Sh'sho'arā Bahār (Gozideh-ye Divān-e Ash'ār-e Malek o-Sh'sho'arā-ye Bahār), in Persian, 56 pages, Bahār's Official Website, pdf. M.T. Bahār, Iran Yellow Pages, Iranian Poets, . Mehrdad Bahar, Mohammad-Taqi Bahār's son.